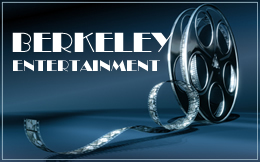 Berkeley Entertainment is a film production initiative that is involved in various projects in filmmaking industry. Company has many exciting projects in developments including a documentary about pregnancy and a motion picture based on a true story. Berkeley Entertainment’s projects focus on social issues across cultures, inspirational content, self-improvement and promotion of education and the importance of tolerance. Berkeley Entertainment is also involved in a number of filmmaking processes including initial story development, ideas generations, and scriptwriting. “My desire to contribute to society stems from my childhood and later from studding and working abroad where a lesson in entrepreneurship lit a fire within. To start my outreach, I launched various information services to help empower others to embrace cultural differences and harness the power of information. The world is better known when travelled, and with communication across borders and oceans easier than ever, I can share my passions and findings with people from every part of the globe. My mission is to make people think when they watch movies. I want to encourage individuals to be kinder, braver, become hungry for learning and to feel closer to one another. I reflect my take on life through movies where I can inspire emotions, motivate people to take actions, promote tolerance and the positive effect of cultural differences”. Alina Reyzelman is proud to announce the release of her first documentary film A Girl and the City in 2015. Alina wrote, produced and directed a film with a Moscow based production company Pro-media Holding. The film takes place in Moscow, Russia, and follows the lives of three individual women from different social classes of society. Berkeley Entertainment is also involved in a number of filmmaking processes including initial story development, ideas generations, and scriptwriting. Please click here to learn more.